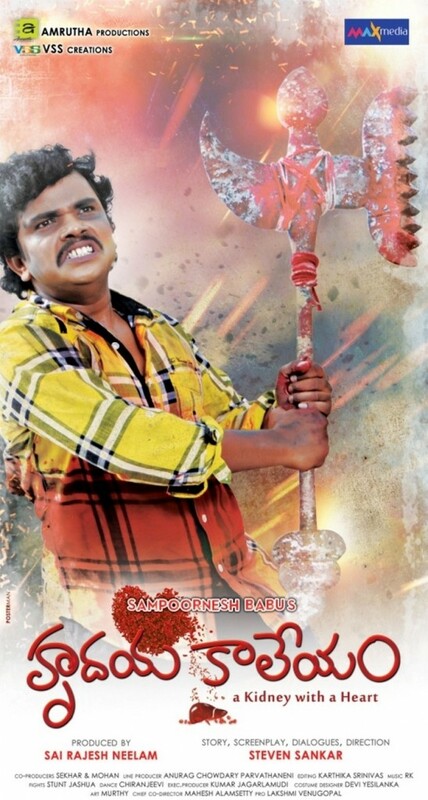 Hrudaya Kaleyam is a 2014 Telugu comedy film directed by Steven Sankar and starring Burning Star Sampoornesh Babu. This was his first film and I hadn’t heard anything about him before but I got interested after seeing the Sampoornesh Babu version of Baahubali trailer. I couldn’t find a DVD anywhere but MAA TV has uploaded the film on YouTube with English subtitles. Sampoornesh Babu, played by Sampoornesh Babu, is apparently the best burglar in the world. A villain called Black Mamba (whose face is painted black) and 2222 policemen are after him. What happens when he gets caught? Why is he doing all the crimes? 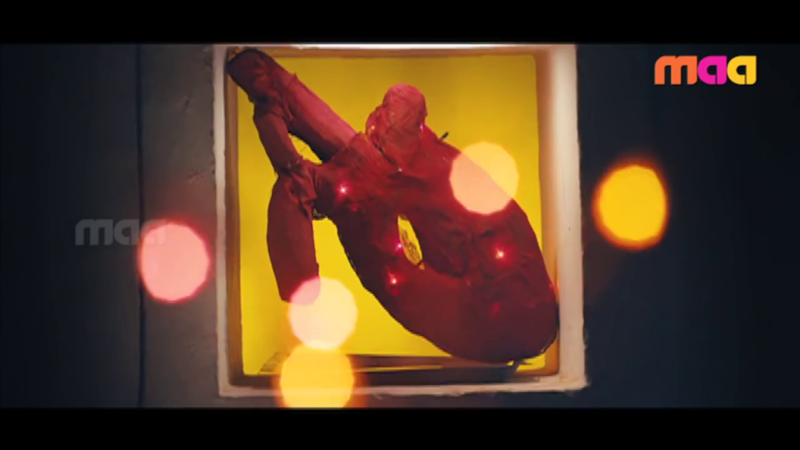 And what is the secret of the enormous thing that looks like a heart? Watch the movie to find out! The movie isn’t as good as I hoped after seeing its trailer but it definitely has its moments and is worth watching. I’ve read a review that suggests that the dialogues are the best part of the film but I didn’t find most of them that good as I’m not that fluent in Telugu and still have to read the sometimes very cryptic subtitles. Some things are funny but most aren’t. 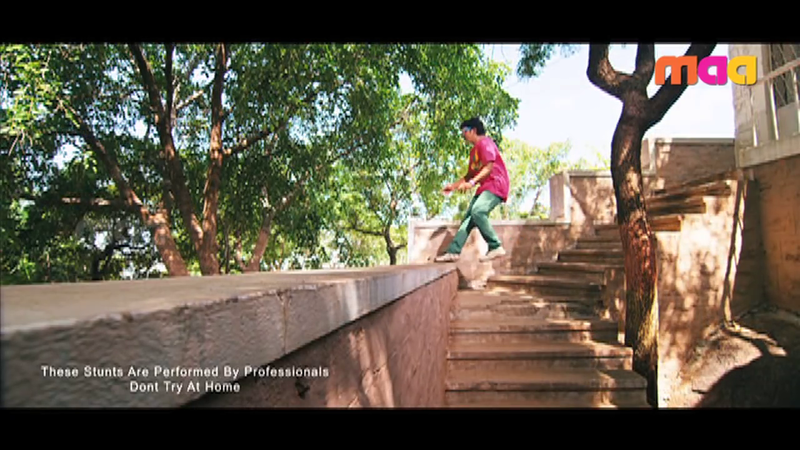 One of the best things is that the movie is so short – 1:55 is almost a short film in Tollywood standards. However, after the lenghty flashback sequence when we get to know why Sampoornesh has been stealing things, the last 20 minutes are terrificly epic.